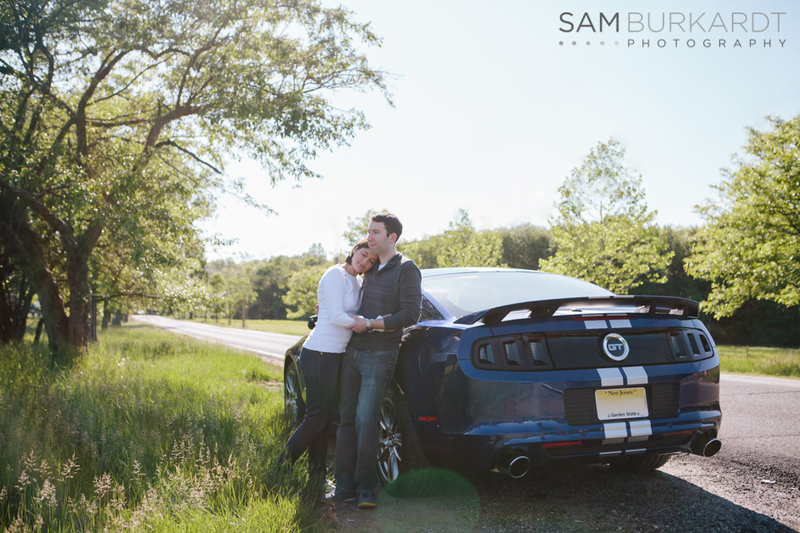 I'm really excited to share this fun engagement photography session at New Jersey's Frelinghuysen Arboretum with Becky and David. It was the perfect day for an engagement shoot. The weather was just gorgeous, not a cloud in the sky. David's mustang was spotless, Becky's outfits were on point... I couldn't have asked for a better day or couple! I really appreciated the little details that Becky took care of such as her freshly painted, mint colored, french tip manicure. You guys rocked this shoot! I can't wait for your upcoming wedding!